Jenna (Katharine McPhee) works in a diner called Joe’s Pie Diner. Jenna job’s, besides waiting on tables, is to make all the pies. She learned to make pies from her mother, and she’s the best pie maker this side of the Mississippi. She works hard at her job every day, alongside sassy Becky (a wonderful Marisha Wallace) and the timid and shy Dawn (Laura Baldwin), all toiling away while the cook and boss Earl (Peter Hannah) looks on. Jenna is in an unhappy marriage and has to reluctantly give her husband her tip money. But once she finds out she is pregnant she begins to look for new ways to leave her ungrateful husband. However, complications get in the way when she enters into an inappropriate relationship with her gynaecologist (who also happens to be married). Meanwhile, Dawn has fallen in love with the goofy Ogie (a funny Jack McBrayer from television’s ’30 Rock’) and Becky and Earl seem to have taken a liking to each other (Becky is married as well!). All this fun and fiasconess is set to music by musician Sarah Bareilles, based on the motion picture of the same name written by Adrienne Shelley. ‘Waitress’ was not as good as I had expected it to be, and some of the situations the waitresses get involved in seems so behind the times, but a better second half and a welcome cute finale saves the day. Save me a slice of apple pie! 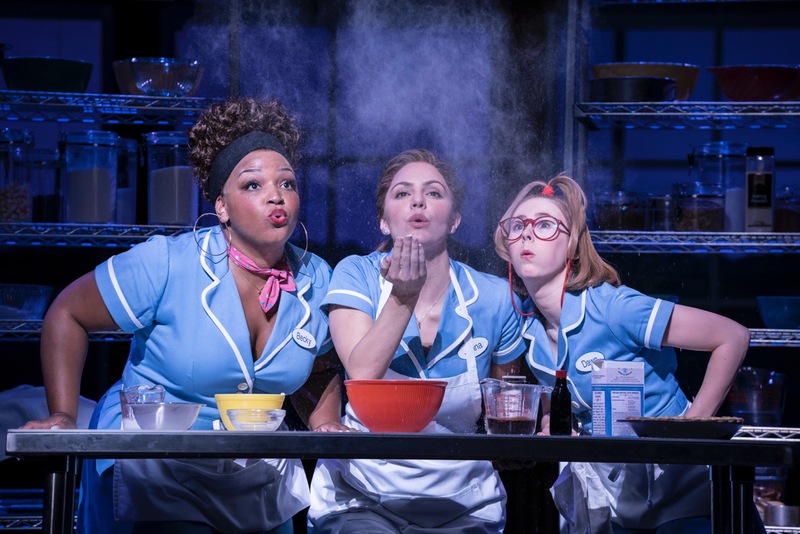 Waitress is booking until Wednesday November 27th, 2019. McPhee is in the show until June 15th, 2019 and McBrayer leaves the show on May 25th, 2019.